Show creator Jonathon Entwistle has revealed The End of the F***ing World is definitely in talks for a second series. The first season of the E4/Netflix show has been hugely popular among viewers, leaving fans desperate for a second instalment. Well, it sounds as though we might just get what we’re hoping for, as boss Jonathon Entwistle has admitted the team are currently looking at ways in which they could “continue the tone of the show”. The creator also said any continuation of the story would have to involve main characters James and Alyssa. He continued: “For me, it’s about James and Alyssa – and I think that’s what people have connected with. I think a season two would have to involve James and Alyssa somehow. I just love the world of them out there on the road, doing something in a weird world. Actor Alex Lawther spoke previously about the possibility of a second series. 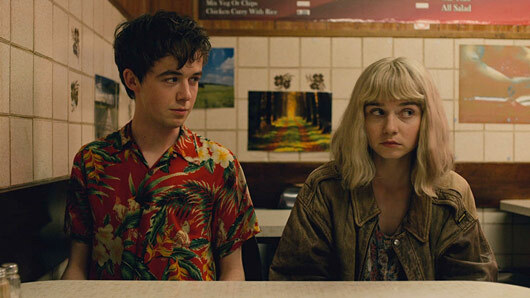 The End of the F***ing World is available to watch on All 4 and Netflix.